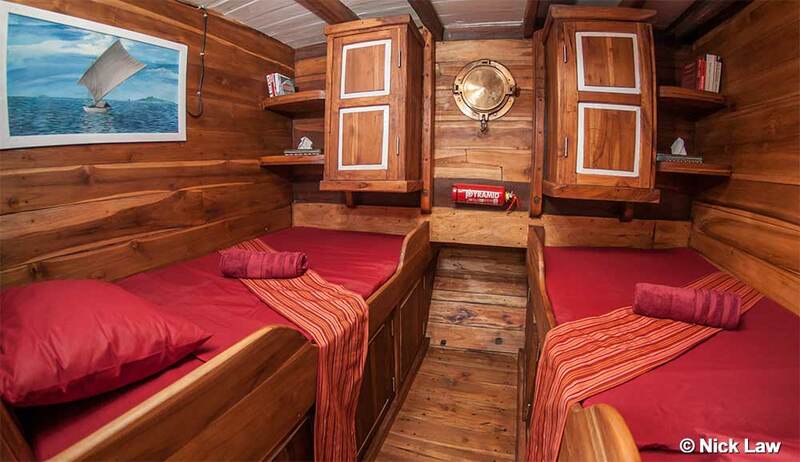 Kira Kira has classic Phinisi styling and lots of character, but being brand new in 2015 also gives guests the confidence of safety & reliability. 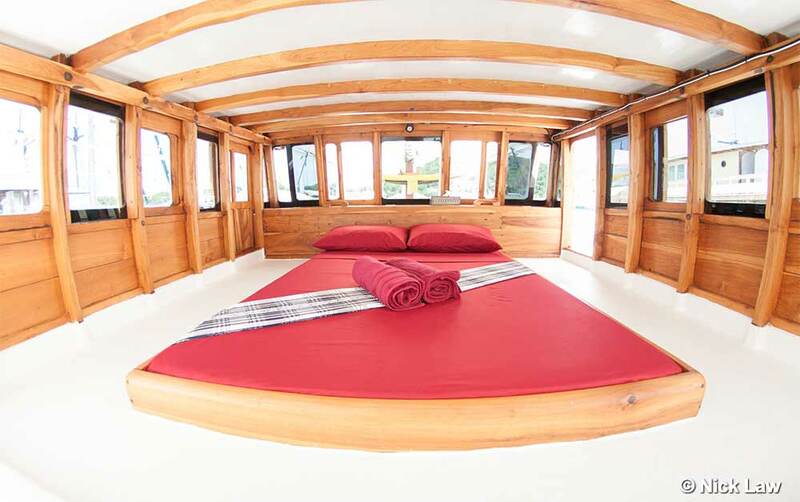 Designed and built specifically for Indonesia liveaboard cruises, this boat is owned and run by an experienced Englishman, and has a professional local crew. There is space to move around and relax in the sun, in the shade, or inside. 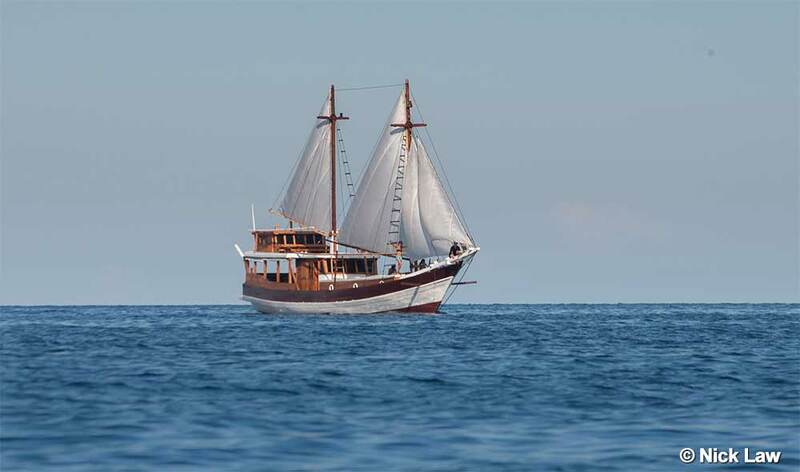 The ship has large sails, to cruise silently with the wind, as well as a brand new engine, and of course a motorized dinghy for beach excursions and to retrieve surfaced divers. 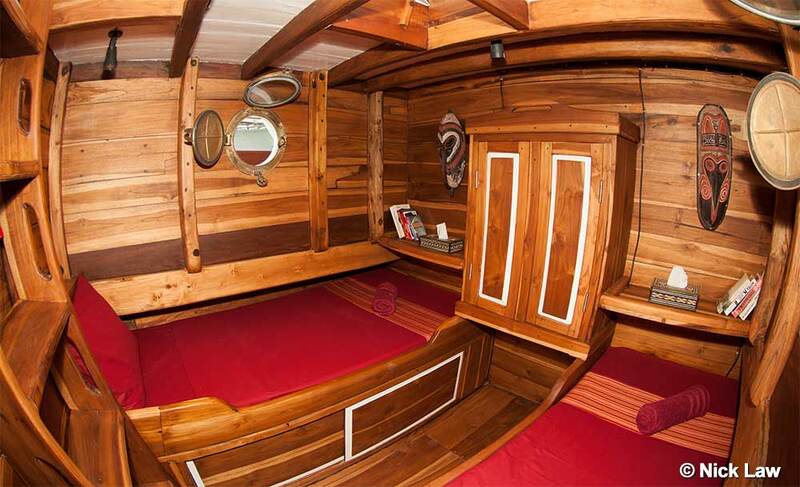 Kira Kira is 22 metres long and 4.5 metres wide, with its structure made entirely from Indonesian Ironwood, and its beautifully hand-made interior is mainly teak. 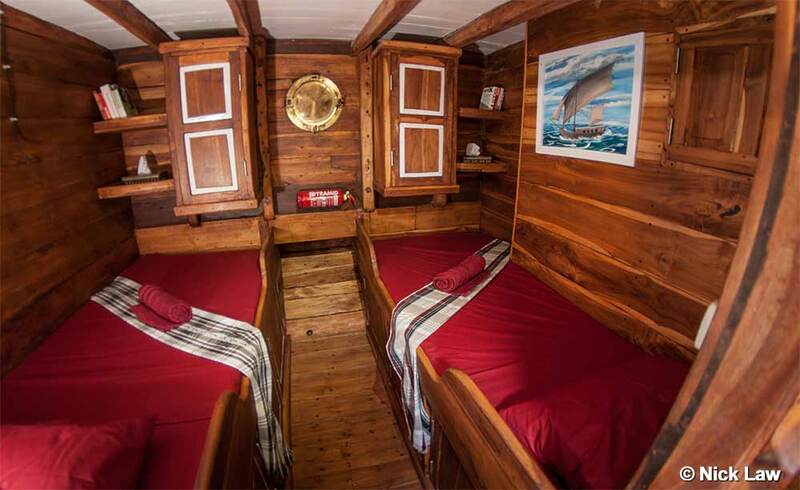 The boat’s capacity is up to 8 lucky guests who can enjoy the comfort of teak-furnished twin cabins below deck or the splendid double-bed cabin on the upper deck, with panoramic views. 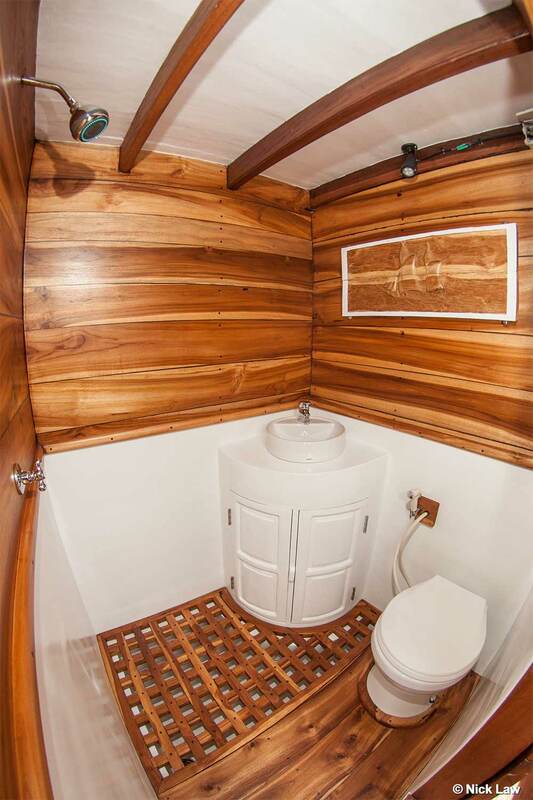 Kira Kira has two bathrooms, both of which are extremely well designed and attractive. There is a large indoor dining & lounge area, as well as plenty of space out on deck, where most passengers enjoy the unique landscapes of this part of the world. Dolphins and turtles can often be seen at the crystal-clear water’s surface. Kira Kira guests enjoy three hearty meals every day (local & western cuisine) & drinks. Those who have special dietary requirements can be catered for, with advance notification and soft drinks and beer are available at reasonable prices. The cruises are personal and friendly. The boat’s choice of destinations, trip rates, comfort & safety facilities make it a top choice for our divers. 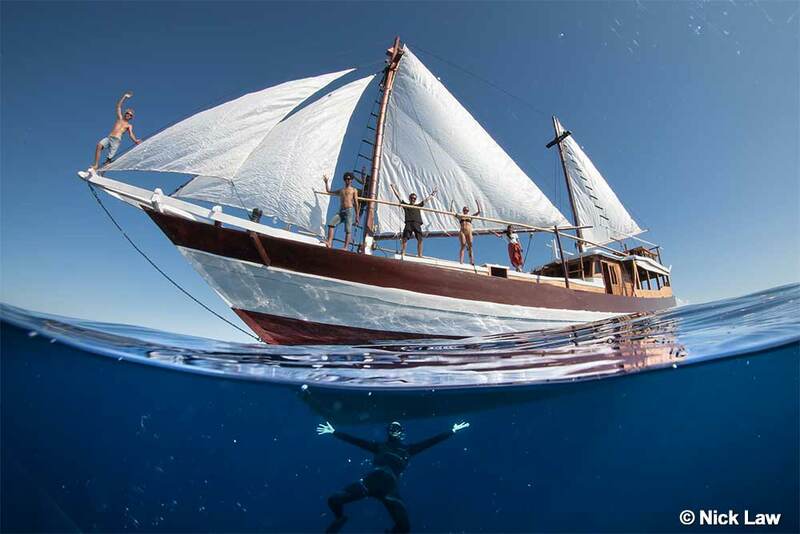 During the Komodo high season, Kira Kira offers trips from and back to Labuan Bajo, as well as some trips which start and finish at the Gili Islands, Lombok. 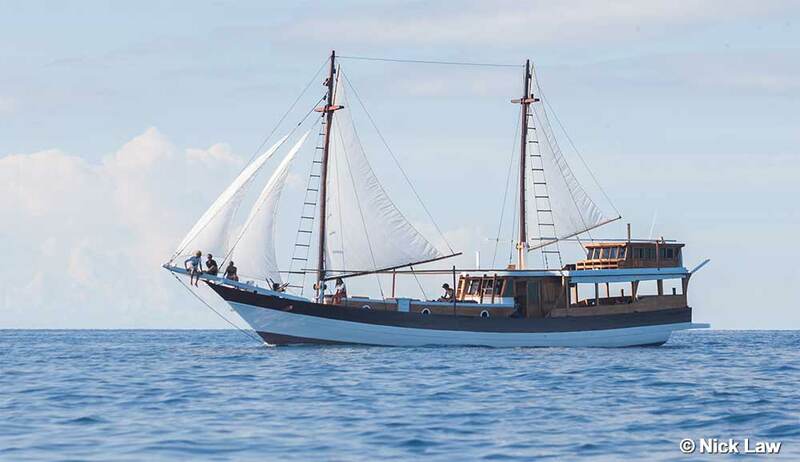 Then for the Raja Ampat diving high season, Kira Kira has trips of 8 nights & 10 nights, which start and finish in Sorong. 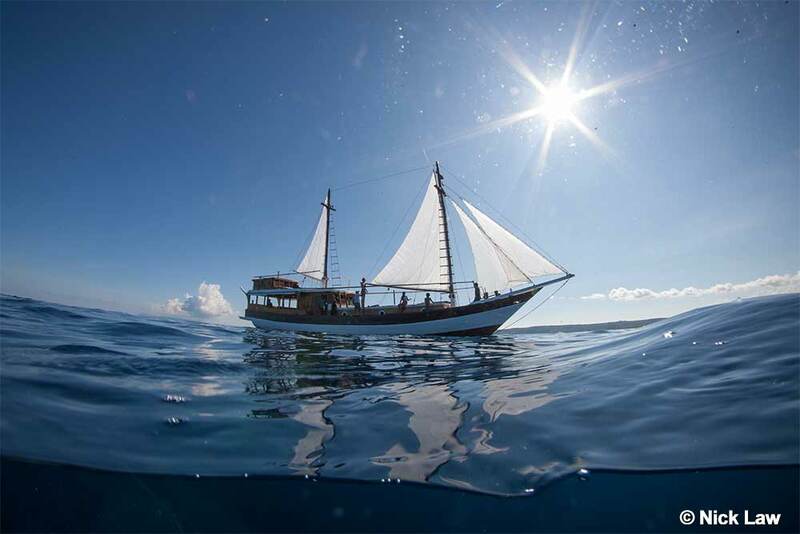 There are also a few 'crossing trips' on which guests can enjoy starting in one location and moving to another, while enjoying some awesome dives on the way. Kira Kira has more than one diving itinerary, based on the time of year, trip length and destination. If you don't see the itinerary below for your chosen trip, please contact us. From the list below, please check carefully for the itinerary which matches your chosen trip. 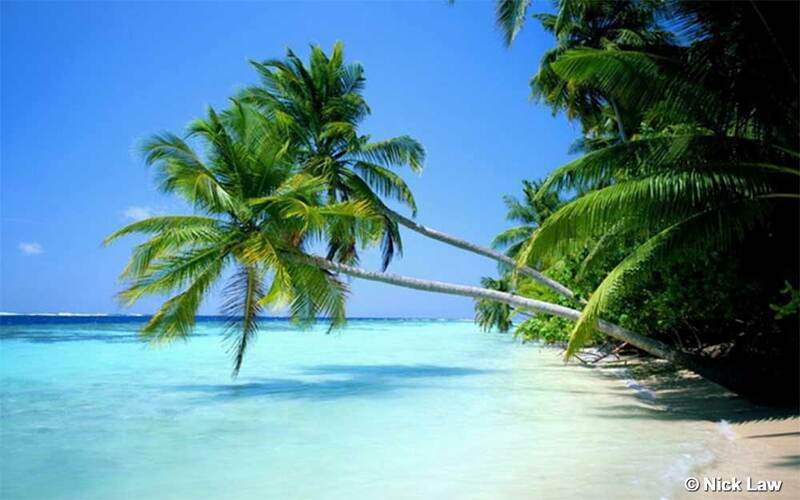 We are happy to send potential guests detailed (PDF) itineraries via email. 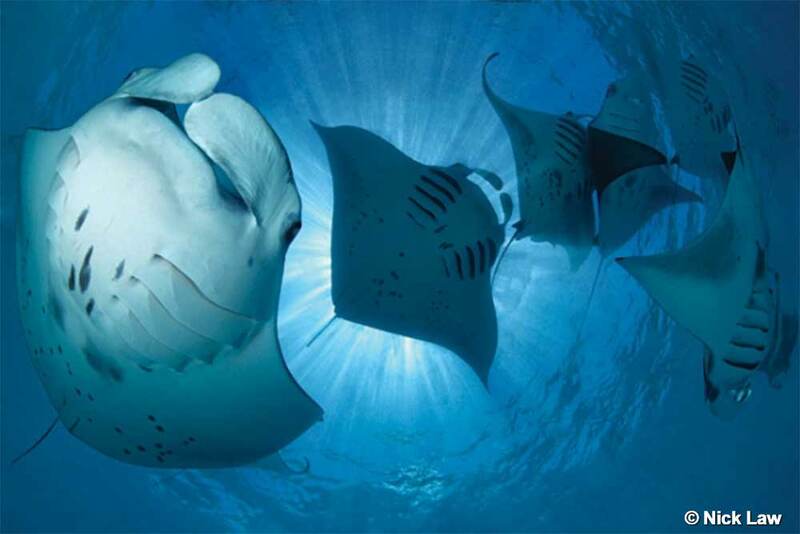 Most trips depart in the afternoon or evening, and the first dive is the following morning. Guests on Kira Kira normally just join the trip as certified fun divers, and therefore diving courses on board are not common. However, if you would like to take a particular course on board, please let us know well in advance and we will give the best and most accurate information and advice. Pick ups and meeting places and times depend on each trip's start and finish point. Normally, the team collect divers from the local airport, hotels or island. Please contact us to discuss the transfers for your chosen trip. 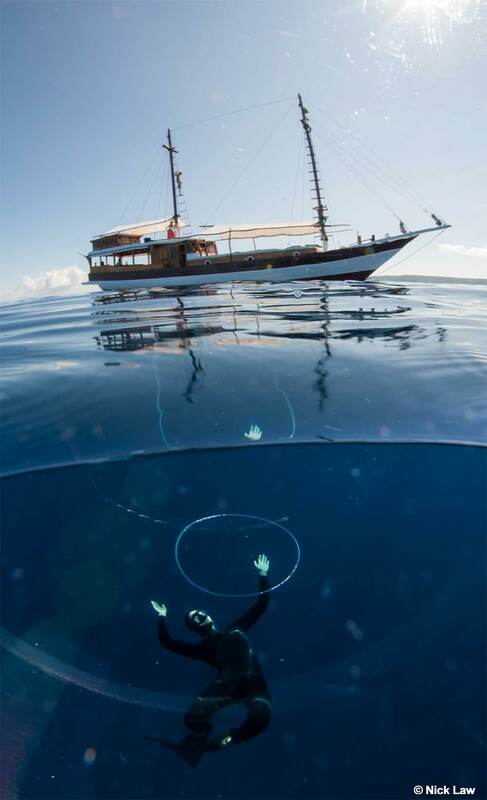 Prices are inclusive of full-board accommodation for the duration of the cruise, Divemaster services, weightbelts, weights and 12-litre tanks. Diving equipment is available for hire at reasonable rates, and national park entry fees and permits are payable in cash to the local authorities.